Welcome to #MarioMonthlyEdit, where you (yes, you) get a sneak peek at our current essentials. New year, new you—isn’t that how the saying goes? Whether you’re a resolution-maker or just into going with the flow, January is all about you. 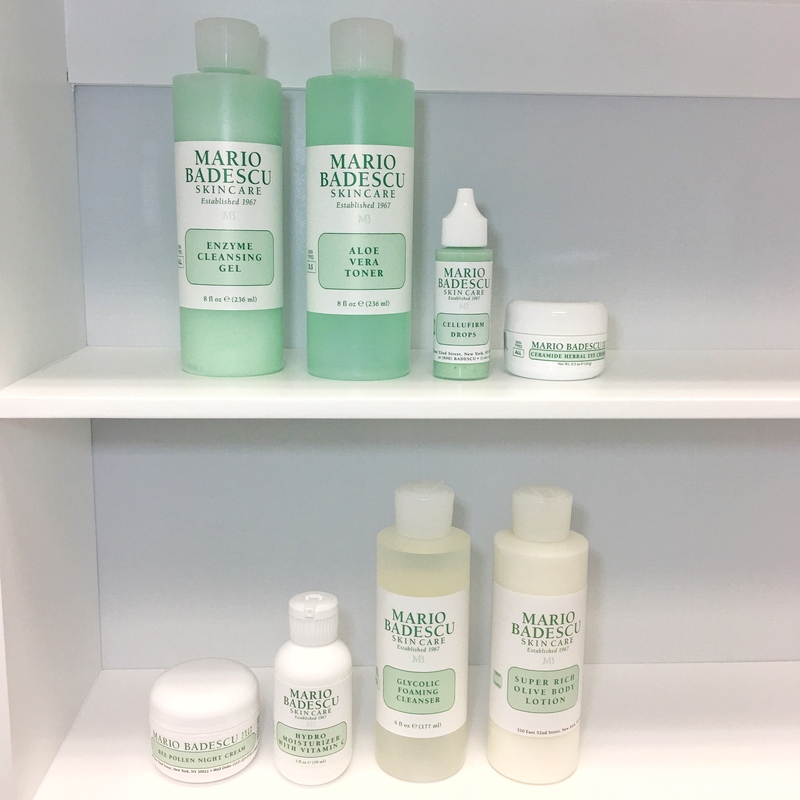 Refocus, re-center, and get your skin back to pre-holiday-insanity perfection. Enzyme Cleansing Gel. No regimen begins without a solid cleanser—and in this case, we’re reaching for a classic favorite. Exfoliating enzymes and alpha hydroxy acids (found in fruit extracts) give skin a deep clean that leaves the complexion looking bright and refreshed. Aloe Vera Toner. Winter skin tends to veer on the dry and sensitive side, so be sure to choose a toner that can help re-balance your complexion post-cleanse. This one is super gentle: any remaining impurities are swept away from the surface as Aloe provides a light, soothing hydration. Cellufirm Drops + Ceramide Herbal Eye Cream. Between holiday parties and New Year’s Eve, sleep hasn’t been your best friend. Brighten, plump, and smooth tired under-eyes with this pro-favorite combo: Gently pat a drop or two of Cellufirm Drops around the eye area, then follow with the Ceramide Herbal Eye Cream. Hydro Moisturizer with Vitamin C. Replenishing your skin’s natural moisture is essential when it comes to putting your best face forward. This lightweight formula delivers Vitamin C-enhanced hydration to help restore radiance and clarity to dull, dehydrated skin. Need a little more moisture? Apply 3-4 drops of Cellufirm Drops underneath for extra skin-smoothing benefits. Bee Pollen Night Cream. Glowing skin is always #goals no matter the season (or new year), so we’re adding this rejuvenating night cream into our evening regimen. This silky-smooth cream is enriched with Bee Pollen Extract and Beeswax to nourish dry skin with antioxidants and essential nutrient—revealing dewy, youthful-looking skin come morning. Glycolic Foaming Cleanser. Here’s an #MBSkinTip that’s been a total game-changer for those with bumpy or breakout-prone skin: Use this exfoliating cleanser one to three times a week on your back, arms, and legs to help keep your skin even from head to toe. Super Rich Olive Body Lotion. After every bath or shower, moisturize. your. body. We’re partial to the Super Rich Olive Body Lotion come winter—it’s rich (as the name implies), creamy, and infused with Olive Oil.